Locksmith Victoria - Providing 24 hour locksmith Services in Victoria and the local areas. Call Locksmith Victoria on 020 3514 8632 for any locksmith needs. Our locksmith offers professional locksmith services including change of door locks, windows locks, keysafes, emergency lockout, locks repair, lock picking and lock change in affordable prices. Our Victoria locksmith can be with you within 30 minutes or less in most cases. Our locksmiths professionals located in Victoria and are available for you 24/7, have wealth of experience in all aspects of securing your home, office, shops and all other residential and commercial properties throughout Victoria the local areas, including emergency locksmith services. Unfortunately we often attend to burglary situations as part of our job. Its never nice, and we aim to provide our customers the best advice on how to make their property in Victoria more secure and less enticing to a burglars. No one wants to turn their house into a fortress, but a few simple changes could ensure you don't get easily targeted. Locks Change - If you're looking to replace a lock or perhaps a lock mechanism that doesn't work, or you simply want high security locks fitted, our experts and trained Victoria local locksmiths can fit a range of secure locks to suit your needs for both domestic or commercial properies and this includes: 5 Lever mortice deadlock, euro cylinder and night latch style locks.Depends on whether you need a British standard lock or not, we aim to advise you on the best locks that fits best for your property. We stock on our vans a range of makes, including Yale, Union, Legge, Banham, ERA and Ingosol and many more along with a range of multi-point locking mechanisms. 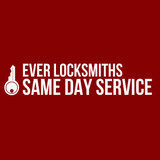 I am quite busy person so I appreciate that I can book the locksmith for almost any day and hour. Actually, I booked the service for the following day and the locksmith came on time and quickly repaired my broken lock. Great and prompt service.  London Security Syndicate trading as Security Syndicate LondonLimited.